Adam and Eve: Who are They? According to the Jewish, Islamic, and Christian religions, Adam and Eve were the first humans, and all humans have descended from them. As stated in the Bible, Adam and Eve were created by God to take care of His creation, to populate the earth, and to have a relationship with Him. Their very names are indicative of their roles. Adam comes from the Hebrew adomah, meaning "man." Eve is from the Hebrew for "life." Most of our preconceived ideas about Adam and Eve and the Garden of Eden come from John Milton's epic poem "Paradise Lost," published in 1667. He took the Genesis account and greatly expanded it using his creative flair. Milton used his imagination to create "behind the scenes" conversations with God, Satan, and various angels. His additions to the Genesis account have become imbedded in our culture and have caused many people to mistakenly think Milton's account is found in the Bible. 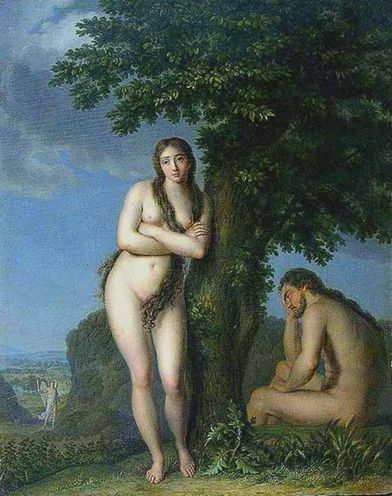 Adam and Eve were the first gardeners. They lived in the Garden of Eden, a perfect place with no thorns or weeds, and where plants produced their fruit easily. We find in Genesis that God told Adam to cultivate the garden, keep the garden, name the animals, and eat of the garden's fruit, except from the tree of the knowledge of good and evil. Adam and Eve were the first people to do something wrong. As it is told in Book of Genesis, God told Adam that he was free to eat from every tree in the garden, except the tree of knowledge of good and evil. God said that he would die if he ate the fruit. We don't know what kind of fruit this tree had. Milton introduced the idea that it was an apple. 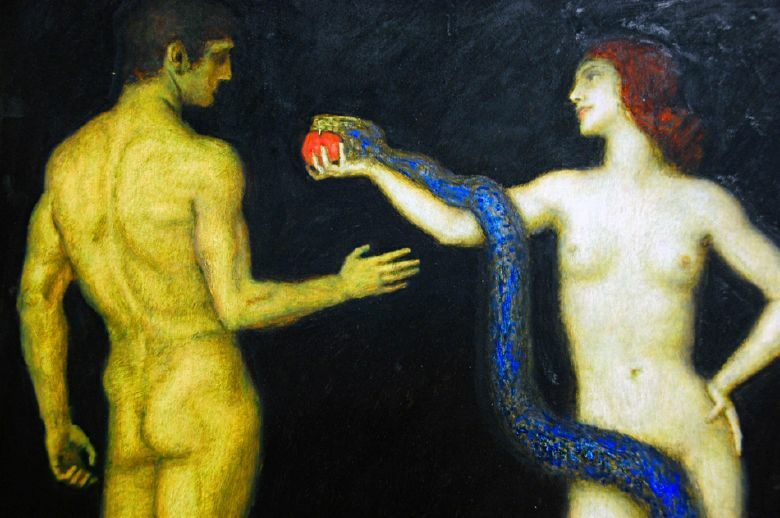 Later, Eve was deceived by Satan speaking through a serpent and ate the fruit. She then took the fruit to Adam and he ate it knowing he was doing the wrong thing. Because they disobeyed what God had explicitly told them and chose to believe Satan, they began to experience spiritual death, and soon physical death. God expelled them from the garden. Adam and Eve sinned by placing their desires above what God had told them and through this act sin entered the world. No longer would it be easy to harvest fruit. Thorns and weeds would make planting and harvesting hard labor. Men would have to work to eat. Women would give birth in pain. Adam and Eve were the first parents. The Jewish, Islamic, and Christian religions hold that all people are descendants from them. According to Jewish tradition, Adam and Eve had 56 children. This was possible, in part, because tradition holds that they lived to be 960 years old. the Adam and Eve Tile Swap Puzzle in our Tile Swap Puzzle section.